The Qolsys Replacement Adhesive Tape is designed to mount a Qolsys IQ DW MINI-S Door and Window Contact without having to use screws or drill holes. This tape is specifically shaped to fit the Qolsys Mini Door and Window Contacts. 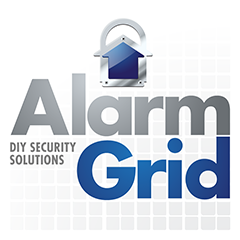 Get replacement tape for your Qolsys Sensor from Alarm Grid. The Qolsys Replacement Adhesive Tape provides an ideal solution for anyone who needs to move their Qolsys Mini Door and Window Contact. The tape is specifically designed for the IQ DW MINI-S. The user can remove the existing tape and apply the new tape to ensure that the sensor sticks. Each Qolsys Wireless Door and Window Contact comes with a set of double-sided mounting tape for installing the sensor. The purpose of this tape is to eliminate the need for using screws and drilling holes into the door or window frame. Most users find that this tape works very effectively. But if a user needs to move their sensor later on, then they might find that the tape does not work as well the second time around. For these users, a simple strip of replacement tape can solve the problem. They just need to swap out the old tape, apply the new strip, and mount the sensor. This set includes double-sided replacement tape for both the sensor and its included magnet. This tape is specifically shaped to fit the Qolsys Mini Door and Window Contacts. Although the tape is strong enough to support almost any wireless sensor, it may not be shaped properly for those other applications. If you need mounting tape for other sensors, then the best option is often to go to an office supply store and have double-sided tape custom-cut for the job. This will ensure the neatest installation. If you do decide to go with the Qolsys Tape, make sure it will fit your sensor!